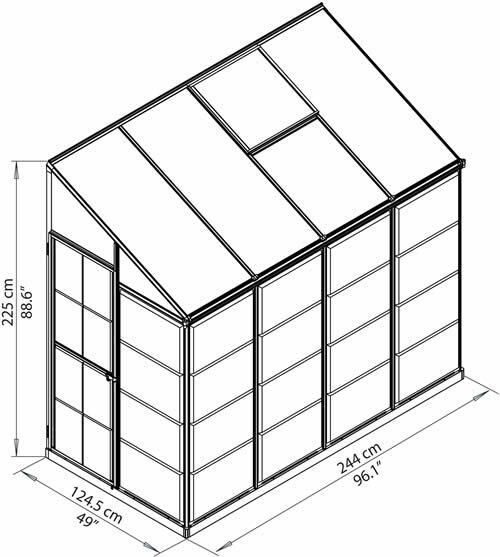 The Palram 4x8 Lean-To Greenhouse Kit gives you all the advantages of a hobby greenhouse in a familiar, yet modern design. 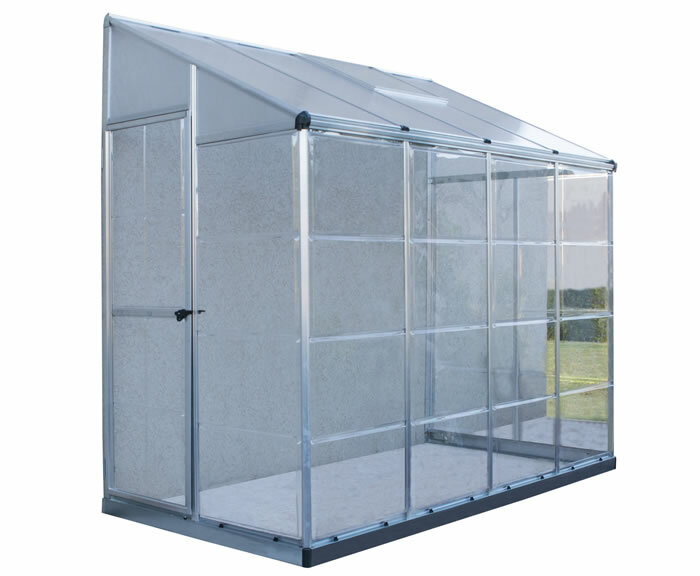 The Palram Lean-To gives you all the advantages of a hobby greenhouse in a familiar, yet modern design. 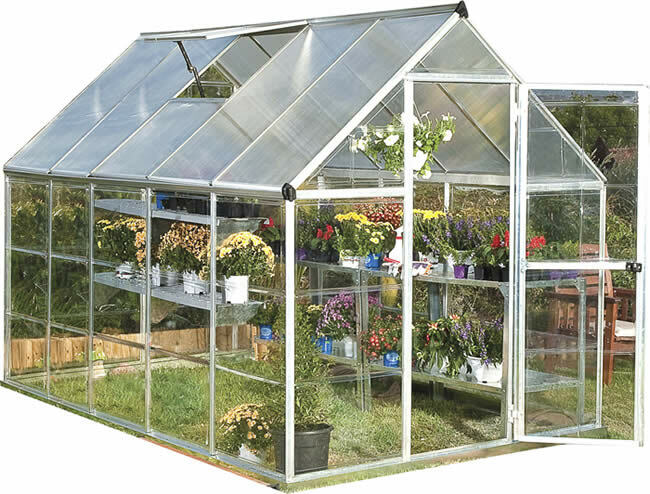 Perfect for smaller backyards and limited spaces such as balconies or patios, you'll be able to start growing your own organic herbs and vegetables. 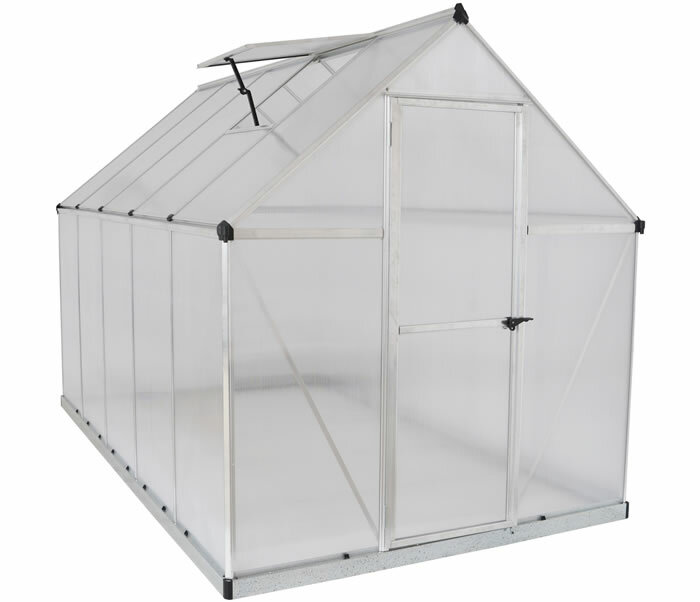 With a rust-resistant aluminum frame and virtually unbreakable polycarbonate panels, you have a structure that will stand tall against inclement weather and provide you the growing environment you are looking for. 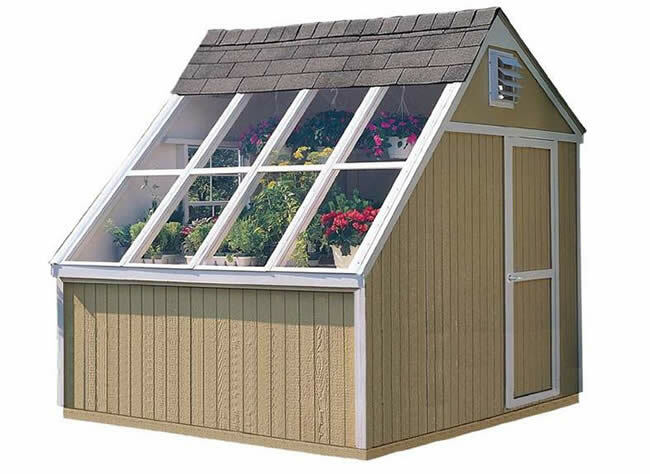 Great product for the money. 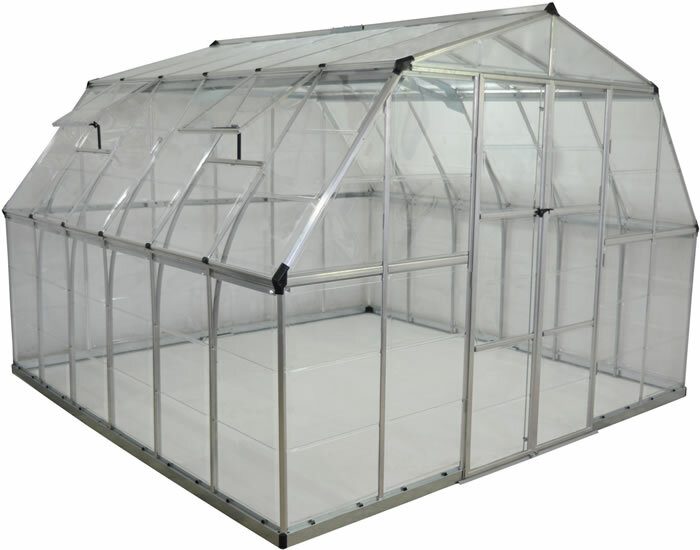 The inside of the greenhouse 40 ..